TMGvets is a CVMA Affinity Partner providing access to industry-leading rates and services for payment processing. We offer a discounted rate package, and free equipment and supplies for every CVMA member! Mesirow Financial brings together thought leaders from various disciplines to provide depth andvalue to our clients. Developed at DoveLewis Emergency Animal Hospital, atdove.org is a practice support system with procedural shorts of real patients and RACE approved-CE. As a Community bank, Champion Bank only thrives when our customers and community do the same. Taking care of our customers and looking out for their best interest is ingrained in the way we conduct business. 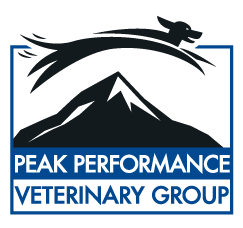 Peak Veterinary Consulting can help your veterinary practice or hospital improve operations, financials, inventory, teamwork, customer care & more. Disability Insurance - Protect your income AND your fixed expenses in the event of a disability.